This study explores teachers’ response to a professional development program called Case Studies of Reading Lessons (CSRL) that uses case studies of reading instruction to provide opportunities for elementary teachers to learn to analyze features that affect the quality of reading lessons. One important question is whether analyzing others’ reading instruction contributes to teachers’ analysis of their own practices. Survey questions and data showing teachers’ use of program resources are used to examine (a) teachers’ views of key program components and (b) their views of CSRL as a professional development opportunity. Fifty-nine teachers worked with CSRL in one of three conditions: analyzing 2 case studies online, analyzing 8 case studies online, or analyzing 8 studies online with the addition of participation in group discussions. Regardless of condition, teachers reported that they benefited professionally from analysis of the cases. They found the guidance for lesson analysis helpful and used interactive program features extensively. Study group participants carried out less thorough analysis of the cases but saw discussions as beneficial. While teachers found the case studies engaging and relevant, further research is needed to clarify the conditions of study and the extent to which these influence teachers’ analysis of their own reading instruction. Vereb, A., Carlisle, J.F. & Mihocko-Bowling, E. (2015). Online Case Studies as a Professional Development Opportunity for Teachers of Elementary Reading. 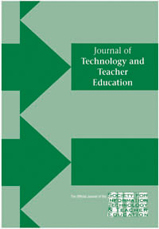 Journal of Technology and Teacher Education, 23 (1), 107-131. Waynesville, NC USA: Society for Information Technology & Teacher Education. Retrieved April 19, 2019 from https://www.learntechlib.org/primary/p/130081/.